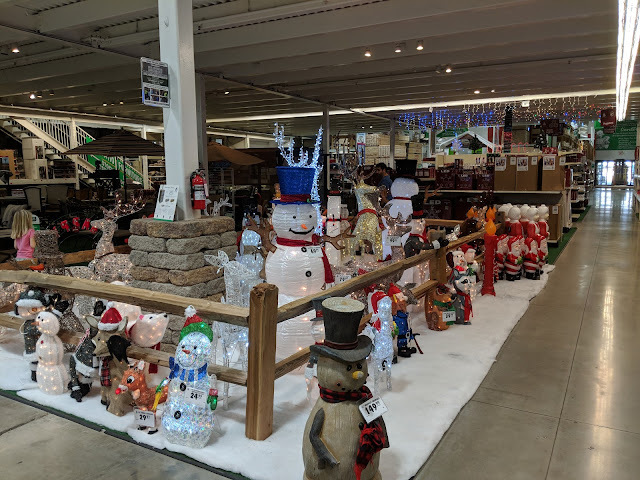 Continuing the annual tradition of trying to document on the blog the various times we first come across the Menards Enchanted Forest Christmas setup. Posting this on the 24th of September, but I took this photo a week ago. I've talked over the years about the notion of "Christmas Creep" and how I'm just fine with it. Mid/late September is right in the middle of Fall holiday planning for most, but I understand why retailers are moving Christmas earlier and earlier. I've done the Christmas Creep documenting on the blog over the years. Here's 2017's version that I posted on September 28th. Here's 2016's version that I posted on September 26th. Here's 2015's version that I posted on October 6th. Here's 2011's version that I posted on September 17th. So this is the second earliest, but based on when I took this photo, it might have been a tie? As for the actual display, they have both their Halloween stuff up in the main seasonal section, but over in the patio furniture section where the Enchanted Forest usually goes, they've already put out a bunch of stuff. 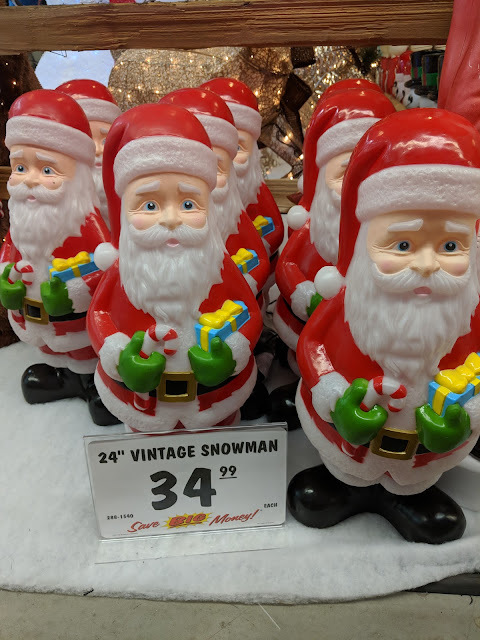 One of the new items are these small, blowmold Santas that they're billing as "Vintage Snowman". $34.99 isn't cheap, but they're cute, right? You guys know I have a soft spot for blowmolds. The fact that they're billing these as snowmen, despite them being Santas, means that there's a snowman coming, too, right? 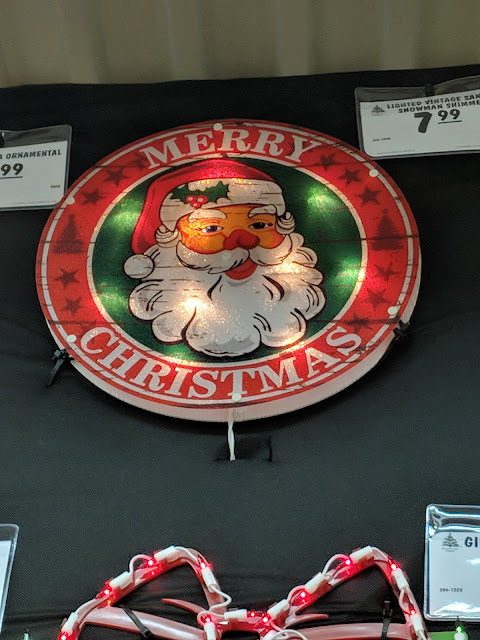 Also, speaking of vintage Christmas, this $7.99 lighted sign is cute, right?